Remember being a kid sometime around the 31st of October, sprawled out across the front porch, covered in pumpkin guts while you struggled to get a too-big-for-you knife through the side of a pumpkin to make the perfect triangle eye? Some of the best fall memories involve pumpkins and pumpkin carving, and just as the pumpkin culinary world has evolved into a sophisticated and endless array of pumpkin derivatives, so too has the world of pumpkin carving. From hacking with a paring knife to intricately carving with specialty tools, the challenge to your now-adult self awaits. Charlie Brown never quite figured it out, but you’ve got this. 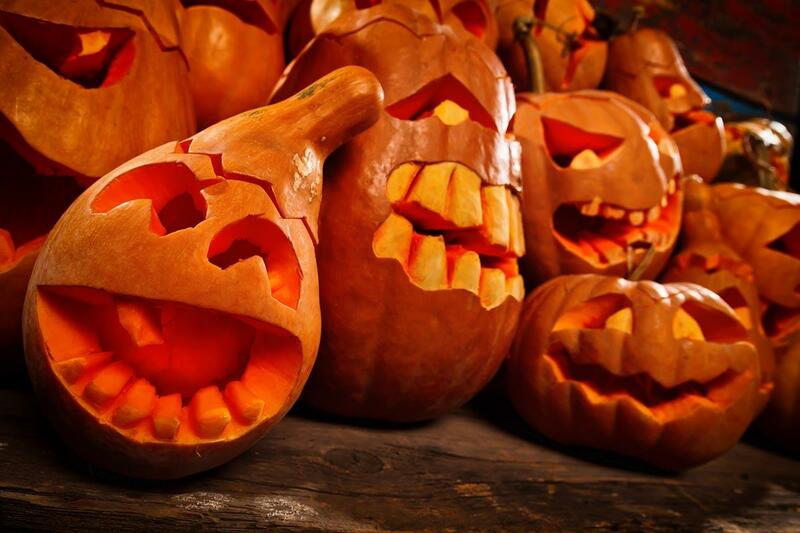 Gather a few friends, and head out to the pumpkin patch. Sure, you can pick one up on nearly every corner during pumpkin season, but with several great farms around the area, who can pass up corn mazes, hayrides and fresh apple cider? There are plenty of pumpkin patches in the Roanoke area, but if you’re searching for the whole fall immersion experience, head to Layman Family Farms. You’ll find plenty to keep you occupied for the afternoon and a nice selection of just-right pumpkins, ripe for pickin’. Now that you have the perfect pumpkin, it’s time to plan your masterpiece. Whether you aspire to recreate the exact likeness of Lady Gaga, or you simply want to do a classic scary face, take a few minutes to sketch out your design, paying close attention to the negative spaces. Having trouble coming up with design ideas? Take a wander through the incredible work of Maniac Pumpkin Carvers in Brooklyn. They take pumpkin carving to a whole new level of artistry! You’ll need a little elbow room and a whole lot of newspapers or paper towels. If you want super easy cleanup, grab a roll of painter’s plastic or a dry-cleaning bag, and spread that out on the table. In addition to carving tools (you can pick up kits or put together your own) you’ll also need a permanent marker, large spoon or ice cream scoop, some petroleum jelly, olive oil, bleach and, last but not least, some type of lighting for inside the pumpkin. Choose a battery operated light for safe and hassle free illumination. You know the basics: Transfer your design with the marker and get started by carving out the lid on a slant, big enough that you can get your hand in for easy scooping. Next comes the messy part, hauling out all the seeds and gunk from the insides. Scraping those inner sides smooth will mean a longer lasting pumpkin. When you’re ready for carving, begin with gentle sawing motions to keep your design intact. For intricate areas, cut out the rough shape and then go back in with a smaller implement to clean up the edges. You can do a lot with shading by cutting into the surface only of the pumpkin (but not all the way through), allowing filtered light to come through. Now that you have everything just right, take a few minutes to make sure your pumpkin shines brightly for as long as possible. Dip or spray your pumpkin with a light bleach water. Three tablespoons of bleach to three gallons of water will inhibit mold growth. Next, apply a light, thin layer of petroleum jelly around the perimeter of all your cut edges, including the lid to ward off wrinkling. Pumpkin carving is hard work, requiring dedication, strenuous scooping and focus. Okay, maybe that’s a stretch, but still it’s the perfect excuse to move into part two of celebrating fall with some delicious adult beverages and a beautiful outdoor meal at one of Roanoke’s great restaurants.